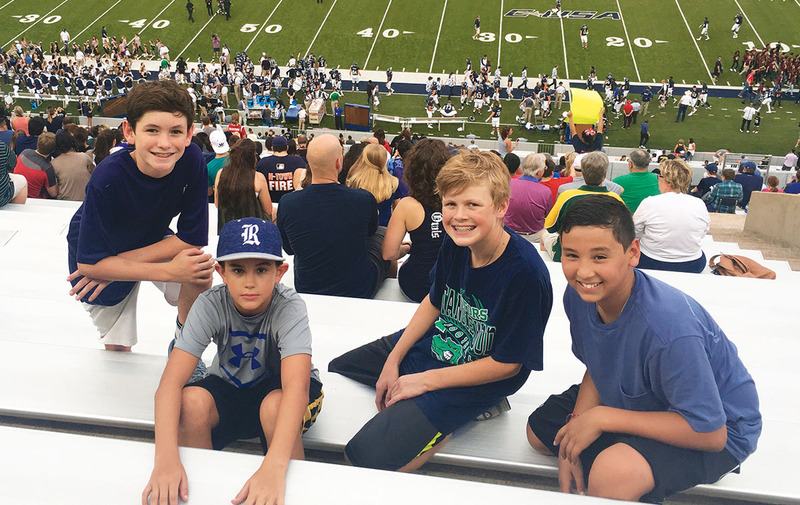 Members of the Tanglewood Middle School football and baseball teams came out to cheer at the first Rice University football game of the season. The Owls took on the Baylor Bears. The students had a great time cheering on the Owls. Pictured (from left) are Tanglewood Middle School seventh graders Charlie Dollinger, James Murnane, Pete McConn and Donovan Barrera.